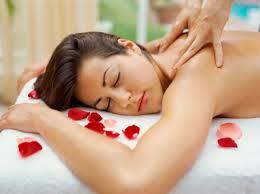 Swedish full body massage is the most popular and well-known holistic massage. Swedish full body massage benefits nerves, muscles, glands and skin while promoting better blood circulation, elimination of toxins and boosting endorphins (feel good hormones). A stomach massage is also included which encourages better digestion and waste removal, helps constipation and can help with period pains. legs and feet, arms and hands, neck and shoulders, stomach and back. Would you like to add a scalp or facial massage, would you prefer to leave out the stomach massage or spend more time on back and shoulders? It’s up to you – and you can change your preferences each time you come.